Semi-natural grasslands are one of Sweden's most species-rich habitats, with a multitude of plants and butterflies. However, the amount of these areas has been reduced by 90% in the past 100 years. Semi-natural grasslands are often preserved as just small fragments in the landscape. Their loss has led to many species of butterfly being decimated, and in some cases eliminated from parts of Sweden. 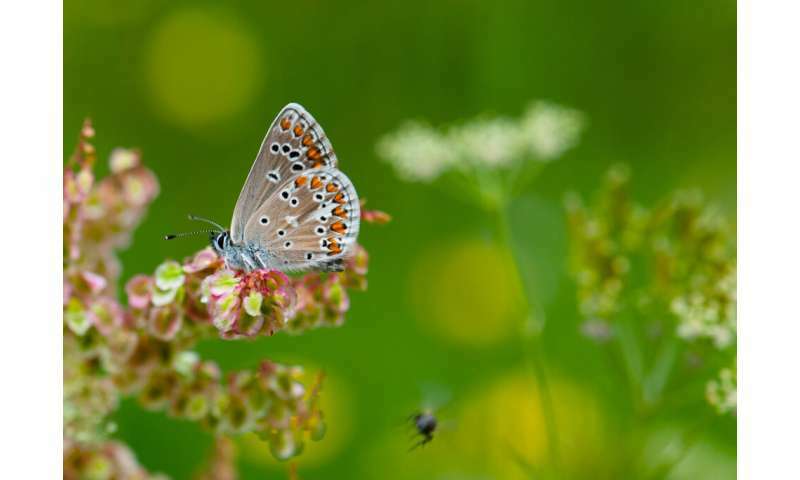 The researchers who carried out the new study, published in the scientific journal Landscape Ecology, have investigated how the landscape around these fragments influences different species of butterfly in southern Sweden. A total of 32,000 butterflies from 77 species were found.